Seated at the table from left: Will Petluk, Auditor – Dale Dupuis, Manager – Gerard Noel, Chairman and Rachel Cloutier, Office Supervisor, at East Peace Gas Co-op AGM. 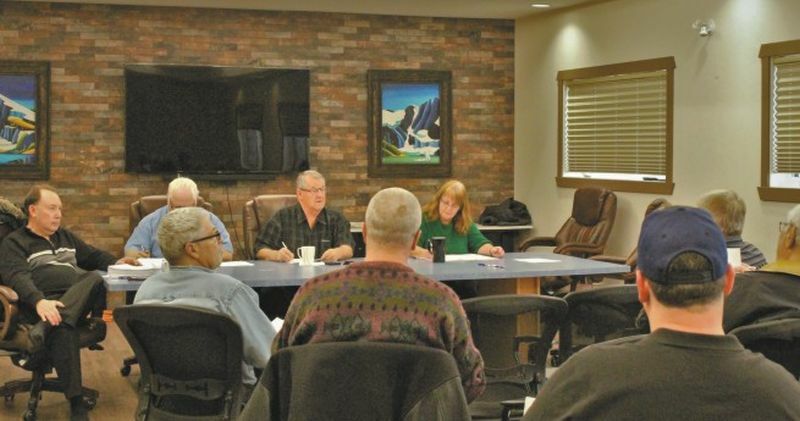 East Peace Gas Co-op AGM held on March 26, was in some regards a milestone, marking the first full year that E PG Co-op has been at its location in Falher. While construction showed little growth, sales on the other hand were the highest in EPG Co-op’s history. Higher than anticipated gas sales volumes in the first two months of 2018 were also record setting, and Dupuis says that this will contribute substantially to staying in a profit position through the summer. He was also more optimistic regarding construction for 2018, saying that it looked somewhat stronger with the motivation for growth in this region being in farm units upgrading their grain dryers, which is resulting in significant cost. While government says there are no new revenue dollars, in 2017 it has taken in excess of $645,000 in Carbon Levy and an additional $33,000 in GST, solely from natural gas consumption in this region. Dupuis’ report also made an important observation about natural gas being greener compared to other non-renewable energy. He goes on to state in his report that the opposite is actually the case, with the creation of levy exemptions for those in the fuel sector with a higher carbon footprint. Dupuis also cited good growth in EPG Co-op’s retail side, saying the greater exposure at the new location was certainly a contributing factor. In the chairman’s report, Gerard Noel talked about work undertaken and completed at the new location in the past year, such as the new cold storage facility to house pipe and noncritical equipment. He also mentioned the addition of 6 rural domestic, 6 commercial services and 1 grain dryer upgrade and 10 Regulator stations over the past year. Noel also stated that grants are now a larger concern as project costs are escalating with the budget provided by Government now falling far short of the qualified dollars. “We are expecting to see near 40 percent shortfalls in grant dollars payable on 2016 construction,” he said. Speaking on succession planning, Noel mentioned the hiring of a new staff member and that along with succession, EPG Co-op is growing its gas home service side of the operation. 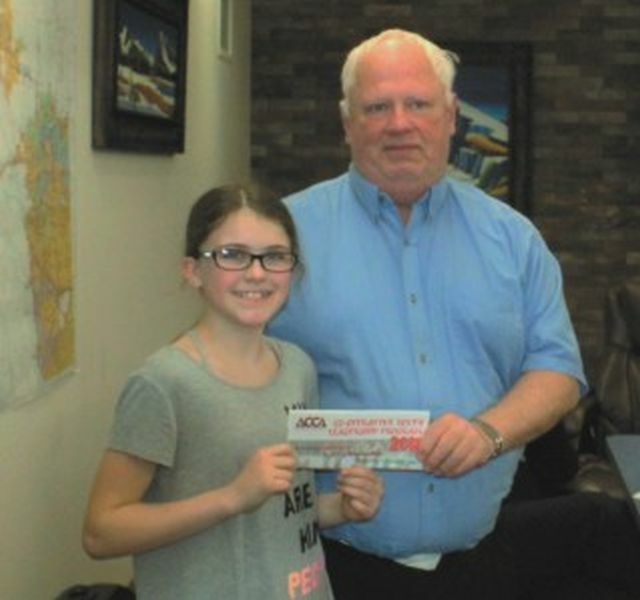 Before the adjournment of the AGM, manager Dale Dupuis presented the annual ACCA (REDA) Leadership Camp Bursary Award to student Chloé Cloutier. Dale Dupuis presents the annual ACCA (REDA) Leadership Camp Bursary Award to student Chloé Cloutier.